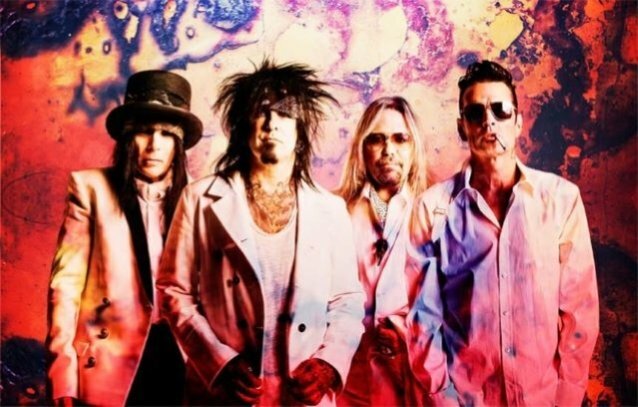 Legendary rockers MÖTLEY CRÜE have been named Grand Marshals and will give the command "Drivers, Start Your Engines," on March 17, for the Monster Energy NASCAR Cup Series Auto Club 400 race at Auto Club Speedway in Fontana, California. Joining the band will be actors Douglas Booth (who plays Nikki Sixx) and Colson Baker (a.k.a. Machine Gun Kelly, who plays Tommy Lee) from the upcoming Netflix film "The Dirt". "We look forward to having MÖTLEY CRÜE bring their famous energy to the greatest command in motorsports," says Dave Allen, president of Auto Club Speedway. "They might be world-renowned rock stars now, but they got their start in California and we're happy to have them home." Adds Lee: "Growing up, we were race car fans and dreamed of fast cars so to be included in the Monster Energy NASCAR Cup Series event is wild!" Says Sixx: "We are super stoked to give the command at the Auto Club 400. It's going to be an epic day at the race track." 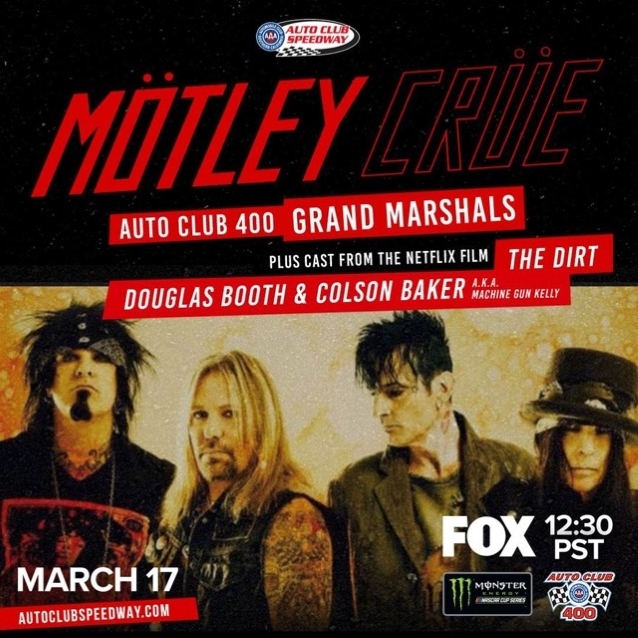 NASCAR ticket holders who have pre-race pit passes will be able to see "The Dirt" cast and MÖTLEY CRÜE band members during the pre-race ceremony activities, including driver introductions. 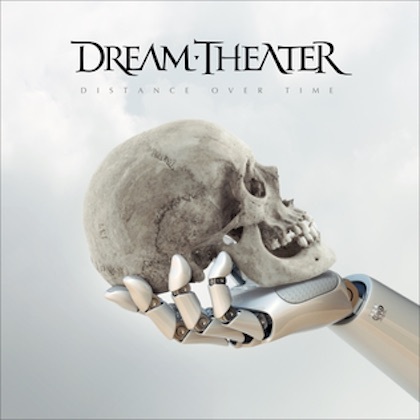 The event will also be televised on Fox at 3:30 p.m. ET/12:30 p.m. PT. Kickstart the fun and get your tickets to the Monster Energy NASCAR Cup Series Auto Club 400 to see the cast and band members along with other honorary race officials. To purchase tickets, call 800-944-RACE (7223), log on to autoclubspeedway.com, or visit the Auto Club Speedway ticket office at 9300 Cherry Avenue in Fontana.